2012 appears to be the year of the Danes, as a third European Poker Tour stop in a row was won by a player from Denmark. To pull off the feat, Jannick Wrang not only had to beat out an extremely tough final table, but then also had to beat Olivier “livb112” Busquet, perhaps the greatest heads-up tournament player of all time. 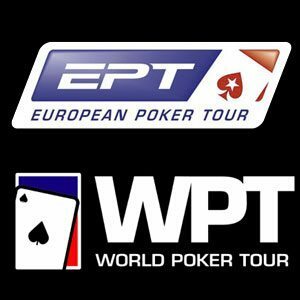 It should be noted that Wrang gained entry into EPT Campione with just $309 by playing an online satellite. If you’d like the chance to satellite into live tournaments as well, PokerStars, William Hill, Ladbrokes, and other online poker rooms offer that opportunity. This was the first time the EPT visited Campione, a small Italian municipality that is located in Switzerland. It rests just 1 kilometer from the Italian border and is quite the place to visit as well as play for big money. Before besting Busquet at the tail end of a 13 hour final table, Wrang had to beat out other accomplished players such as Balazs “birs320” Botond and Fabrice “fabsoul” Soulier. Soulier has been a success on the live tournament circuit for years while Botond is mostly known for his online exploits. Wrang started the day near the top of the chip counts and put that stack to good use. Eventually all that stood between Wrang and the championship was the heads-up specialist, Busquet. Wrang started out the heads-up encounter with a sizable chip-lead and used it to his advantage. He was somehow able to fend off his crafty counterpart, which meant that he took down both the title and €640,000. Congratulations to Wrang for the big win! He proved that you do not have to be a professional poker player with loads of money to walk away with a great pay day in live tournaments. If you would like to score huge like Wrang, your best shot is by practicing in online tournaments first. At tough final tables, usually people expect amateurs to finish at the bottom of the payouts and the more experienced players to finish at the top. Sometimes, however, amateurs greatly exceed expectations. Sometimes they are able to rise above the disparity in experience and do great things at major final tables. A great example of this took place at the 2012 WPT Bay 101 Shooting Star event. Two recreational players chose live poker over and got rewarded handsomely for their decision. Ubaid Habib and Moon Kim were living the dream, coming into the prestigious final table in 2nd and 3rd place respectively. Both players held over 100 big blinds to begin the final table which put them in a great position to make a run at the top payouts. Joining them were 2011 WSOP bracelet winner Andrew Badecker, long time Canadian poker pro Erik Cajelais and two long time online poker pros in Joe “floes” Serock and Joseph “pokerjoe9” Elpayaa. With over 600 big blinds in play and nearly 1 million dollars for first place, there was no telling how the action would play out. With plenty of room for error, one might have expected the final table to take some time to finish up. It took a whopping 113 hands for the first bustout to occur, which is equivalent to hours in the live arena. The first to bust from the final table was Elpayaa, who was originally crippled by Badecker and eliminated in 6th place shortly after. Badecker couldn’t use his new chips to ladder any further, however, as Kim sent him packing next in 5th place. Cajelais had started the day as the overwhelming chipleader with around 180 big blinds. However, he found himself with just 6 big blinds during 4 handed play. He couldn’t mount a comeback, which meant an elimination in 4th place on hand 171. 11 hands later Serock joined Cajelais on the rail as he lost a big coinflip to Kim. With nearly 110 big blinds in play, the lone amateurs at the final table began their heads-up duel. Kim began the match with the chiplead and though Habib got close, Kim never relinquished the lead. The final hand saw Habib get his remaining chips in with a slight lead, but he was unable hold. His consolation was 2nd place and $570,200, which isn’t too shabby at all. Congratulations to Moon Kim for winning the WPT Shooting Star for almost $1 million! Chris Moneymaker first planted the seed that helped every poker player believe that they, too, could take down a major live tournament of their own, despite a field of professional poker players. Many believe that it doesn’t matter where a player comes from or where they’re at and that any player can win at any stake. Every player dreams of winning a big tournament and having their day in the sun. Mickey “mementmori” Petersen has logged in thousands and thousands of hours on PokerStars, and his most recent hours have been on PokerStars as a member of Team PokerStars Online. He was able to live the dream of winning a major live tournament, but he took it one step further than most. Petersen is one of the most recognizable names from the online poker scene due to his undeniable abilities as well as the many hours he’s logged in over the past few years. Prior to joining Team PokerStars Online, Petersen logged in many hours on PartyPoker with numerous big final tables. While Peterson has been renowned in the online poker world for quite a while, he hadn’t been able to really find any success on the live circuit prior to EPT Copenhagen. He was able to make the final two tables of a World Series of Poker event in 2011 but other than that he had come up empty. Petersen went above and beyond the dream of winning a big live tournament, for he did it in his hometown of Copenhagen, Denmark. Before hoisting the title, Petersen had to get through some tough players who have had success in the live circuit such as Steve O’ Dwyer and Aage Ravn. He even had to beat Team PokerStars Pro Pierre Neuville in a heads-up duel that never seemed to end. Youth prevailed in the end as Petersen was able to snag the crown and take down EPT Copenhagen.